If you'd like to comment on this dev blog, please feel free to do so in the discussion thread over on the Official Forums! 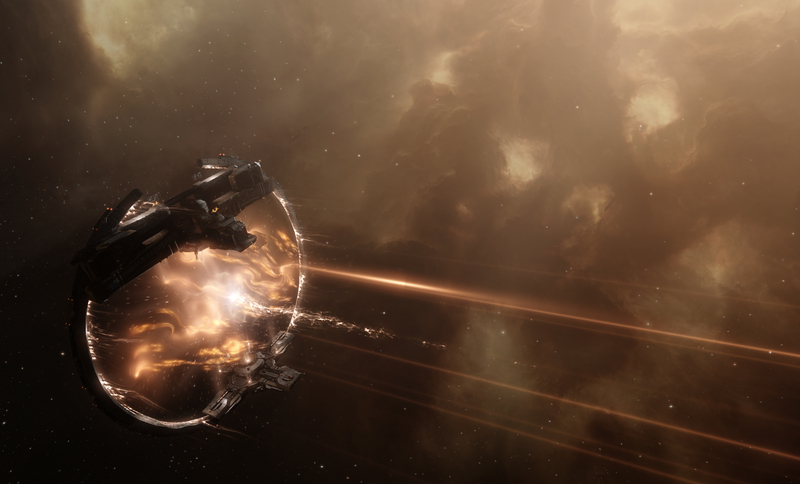 This dev blog will be covering the new Upwell navigation structures coming to EVE Online in the upcoming winter expansion. These highly-anticipated structures will open up new opportunities for player alliances to build powerful travel infrastructure in their space. These structures also represent the first of a new line of Upwell FLEX structures, which are significantly faster to deploy and destroy than traditional Upwell structures. We’ve been discussing plans for these structures with the community ever since Fanfest 2015, where we outlined the long-term plan for what would eventually become Upwell structures. That first presentation described a series of potential future structure roles, including “Market and Trade Hubs” (which have since become Citadels), “Assembly Arrays” and “Research Laboratories” (which were combined into Engineering Complexes), “Drilling Platforms” (which became Refineries), and “Stargates” (which are now being released as Navigation Structures). Many aspects of the designs have obviously changed over the past three years, but the basic goal of providing new powerful structures that players can use to influence travel mechanics has stayed the same. The Onslaught expansion will launch with three navigation structures, each fulfilling a specific specialized role connected to ship movement. These first three navigation structures also upgrade and replace functionality that previously existed on starbases with newer and easier to use Upwell technology, bringing New Eden closer to the day when we can fully retire the venerable starbase system that will be celebrating its 14th birthday the same week as this release. In general, the pattern with these structures is that they are somewhat more powerful and customizable than the starbase structures they replace, but that power comes along with quite a bit of vulnerability. This blog will cover several topics related to these new structures, and we hope that it will answer many of your questions and get you excited to try them for yourself on the Singularity test server and let us know what you think in the forum comment thread! Upwell structures are incredibly effective tools for general-purpose capsuleers infrastructure, capable of docking huge starships, fitting numerous different service modules, and providing a home for thousands of players. However not every structure needs to be quite so general-purpose as a Citadel, Engineering Complex, or Refinery. Upwell has seen the need for a line of structures that sacrifice some of their utility and defensiveness for easy deployment and incredible specialized roles. Fast Logistical EXpansion (FLEX) is the brand name of Upwell’s new line of fast-deploying specialized structures with built-in service modules. The physical size and cost of Upwell FLEX structures will vary, with the first batch being slightly smaller and slightly more expensive than standard Upwell medium structures. The Upwell navigation structures coming with the winter expansion are the first FLEX structures available to the public. Upwell is investigating other potential uses for the FLEX structure technology, including potential capsuleers advertisement/propaganda structures and potential capsuleer-built forward operating bases. Some of the most important differences between standard Upwell structures and the new FLEX structures relate to the structure “lifecycle”: deployment, attack, and destruction. Since these systems are so crucial to so much gameplay for both structure owners and any potential attackers, we’ll spend a bit of time going over the whole lifecycle in this section and pointing out some significant differences between the navigation structure and standard Upwell structures. The basic process of deploying a navigation structure into space will be largely familiar to anyone who has deployed a standard Upwell structure, with a few key differences. The first significant difference is that navigation structures can be deployed much closer to other Upwell structures. 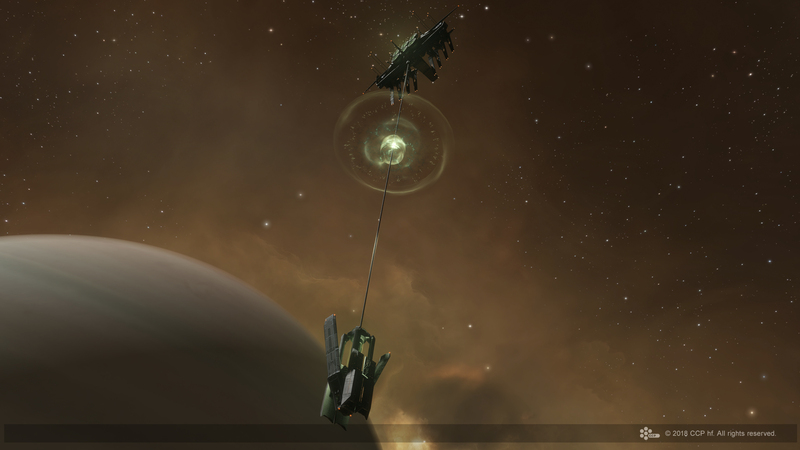 The Cyno Beacon and Jump Gate must be at least 200km from the nearest Upwell structure, and the Cyno Jammer must be 150km away. The first three navigation structures all require sovereignty infrastructure hub upgrades in order to serve their functions, so if you attempt to deploy the structures in a system that does not have the correct infrastructure hub upgrades installed (including systems that cannot have player-controlled infrastructure hubs) you will be given a warning before confirming the deployment. The navigation structures also have a per-system cap on the number of each structure role that can be deployed (one per system for the Beacon and Jump Gate, three per system for the Jammer). Once the system cap is reached new deployments of these structures will be prevented until one of the previous structures is unanchored or destroyed. Once you drag the navigation structure into space, you will be asked to choose a name and structure profile just like with standard Upwell structures. However, you will only be asked to choose a reinforcement time for the structure, not a reinforcement day. The FLEX structure reinforcement system does not care about days of the week so only a time of day is required. We’ll go into more detail about this FLEX structure reinforcement system in the section below. The FLEX structure deployment period itself is one of the most significant distinctions from standard Upwell structures. The deployment period for FLEX structures is very short (45 minutes for the initial navigation structures) and the structure is vulnerable to attack all through the entire deployment period. This deployment period is multiplied for structures deployed into other alliance’s sovereign space just like previous Upwell structures, with each level of the system’s strategic index adding another full-length deployment period worth of time before the structure comes online. This means that a navigation structure deployed in a system with strategic index level 1 by a corporation outside the sov-holding alliance will take 90 minutes to deploy, up to 4.5 hours in a system with strategic index level 5. If the owners of a deployed and undamaged navigation structure choose to unanchor the structure so that they can scoop it, they will be able to do so with a 45-minute timer. Alongside their extremely fast deployments, FLEX structures also have a highly accelerated reinforcement system. 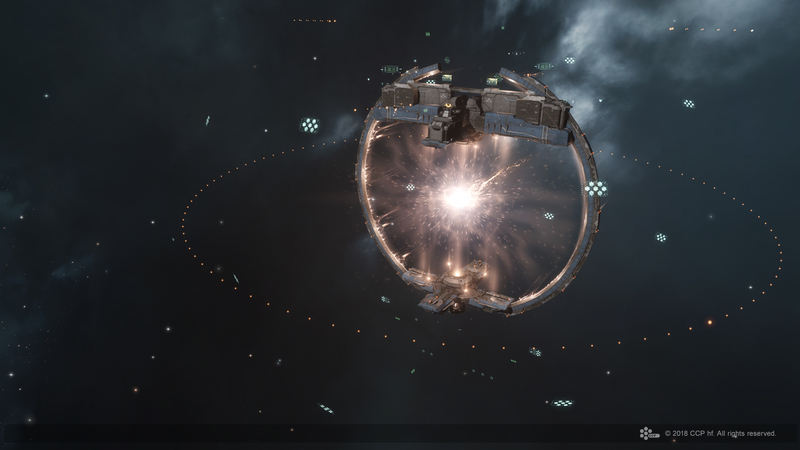 FLEX structures can be attacked at any time just like standard Upwell structures, and they can be hacked just like normal Upwell structures to determine their reinforcement hour. Unlike standard Upwell structures, navigation structures do not have any weaponry of their own. Defenses for navigation structures must come from allied ships or from a standard Upwell structure a few hundred kilometers away. FLEX structures have a single reinforcement period (between their armor and hull hitpoints) when they are in full-power mode, and no reinforcement period when they are in low-power mode. Once the shield hitpoints of a FLEX structure have been destroyed the attackers can move directly to hitting the structure’s armor hitpoints. If the structure is in low-power mode when the armor hitpoints are destroyed, the attackers can move directly to hitting the structure’s hull hitpoints. However, if the structure has an active service module putting it into full-power mode when it loses its last armor hitpoint it will enter a short reinforcement period. This reinforcement period lasts until the next occurrence of the defender’s selected reinforcement hour that is at least one hour away from the time that the structure entered reinforced mode. The reinforcement exit period is also subject to a randomized “jitter” up to 30 minutes in either direction. This means that the reinforcement period can last anywhere between 0.5 and 25.5 hours depending on when the aggressors choose to launch their attack. During this reinforcement period the service module(s) on the structure go offline, similarly to the final reinforcement of a standard Upwell structure. These reinforcement mechanics make the FLEX structures much more vulnerable to attack than standard Upwell structures, to match their faster deployment times and more specialized roles. Alongside the introduction of the first FLEX structures, the Onslaught expansion will also introduce some attack flow changes that impact ALL Upwell structures, both standard and FLEX. As mentioned above, the combined impact of these three changes will be that destroying all low-power Upwell structures will be significantly faster and easier, while attacks against full-power structures will be exactly the same. As part of these changes the base shield and armor hitpoints of all standard Upwell structures will be reduced by 62.5%, and the hitpoint multiplier provided to full-power structures will be increased from 1.5x to 4x. This means that shooting through the combined shield and armor of a low-power structure after the Onslaught expansion will take 25% less time than shooting through just the shield of a low-power structure today. Additionally, we are planning to disable the ability to online a service module while the structure is damaged. This has the benefit of preventing abusive behavior with characters switching structures from low-power to full-power after they notice an attack but before the structure’s shields are destroyed. It also helps prevent some potentially unfun shenanigans with Cyno Jammers. Now that we have covered the general properties of the FLEX structures and the changes to Upwell structures in general, let’s look at the details of the specific navigation structures coming with the winter expansion! The simplest of the new navigation structures is the Pharolux Cyno Beacon. When developing this new structure, Upwell focused their development efforts on connecting the traditional cynosural generator array functionality with their customizable Access Control List system. This means that unlike ship-based cynosural field generators that are restricted to fleet members and starbase cynosural generator arrays that are restricted to alliance members, the new Pharolux Cyno Beacon can be used as a jump drive target by any pilot that has been granted access by the structure owners. The cynosural beacon generated by this structure provides a valid jump destination for any jump-capable ship within range, just like a standard cynosural generator module. Ships jumping to a Pharolux Cyno Beacon follow all standard jump drive behavior including consuming their own jump fuel and receiving jump fatigue. When turning their attention to building their own version of a system-wide cynosural field jammer, Upwell chose to focus on drastically improving the speed at which the jammer can be activated. The result of their efforts is the Tenebrex Cyno Jammer structure, which can jam a system in just five minutes. The Tenebrex Cyno Jammer has a unique form of system cap, different from the other two navigation structures. Up to three Cyno Jammer structures may be deployed in the same star system, but only one can have an active service module at any given time. 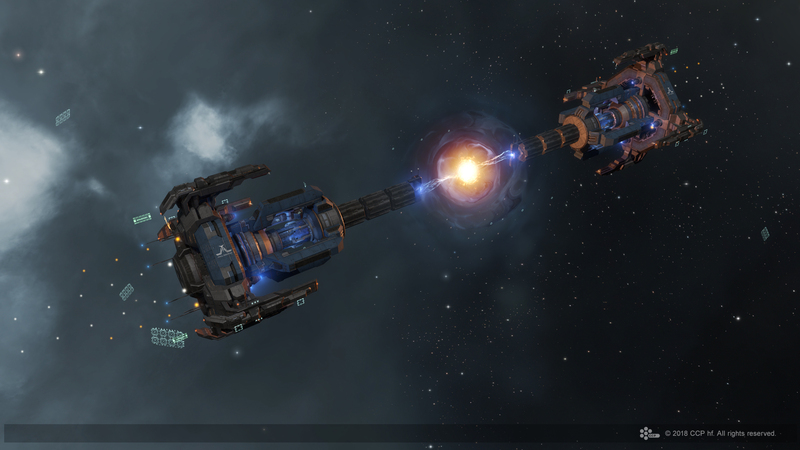 This mechanic is intended to allow sov holders more flexibility in recovering from an attack against their cyno jammer structures by either keeping a few jammers in space as buffer or deploying another structure if the first becomes reinforced. Once the system jamming has taken effect it works just like the old starbase Cynosural System Jammer effect, preventing the activation of new standard cynosural beacons (but not impacting covert cynosural beacons). This effect will also deactivate any Cyno Beacon structures in the same system. Ansiblex Jump Gates only work in matched pairs. When you deploy each Jump Gate you must select a target star system within 5 light years to align the gate towards. The deploying gate will then physically point towards the target system and check whether there is another gate in the target system pointing back. If two Jump Gates are deployed in systems with the required infrastructure hub upgrades and pointing at each other they will be able to be linked by activating their service modules. Two linked Jump Gates do not need to be owned by the same corporation/alliance or share the same access list profiles. If owners of a deployed Jump Gate wish to change which star system their gate is aligned towards they can unanchor and redeploy the structure (requiring a total of 90 minutes). Ansiblex Jump Gates have a mass limit of 1.48 billion kg which allows every ship other than supercapitals to use the gate. We will be keeping an eye on the feedback and behavior around these gates after release, and we can easily change this mass limit in either direction if we see the need. The player experience of using an Ansiblex Jump Gate is extremely similar to that of using a standard NPC stargate. Using Jump Gates does not generate any jump fatigue and pilots will have a temporary jump cloak on the other side of the gate connection. All Jump Gate connections will be visible for every pilot in New Eden via their map, along with information about whether they are allowed to use the gate connection. At this time player-controlled Jump Gates will not be used by ship autopilot systems. The EXERT Conduit Coupler is a new structure component developed by Upwell and used exclusively to build Upwell Jump Gates. It consists of a combination of planetary materials, standard minerals, abyssal materials (harvested from Triglavian technology in Abyssal Deadspace), and covert research tools (stolen from pirate-operated covert research facilities). With these new navigation structures first becoming available with the winter expansion, it will take a little bit of time for industrious capsuleers to obtain blueprints and manufacture these structures to meet initial demand. To ensure that existing Nullsec transportation networks have time to adjust to these changes we plan to keep the old starbase navigation structures operating for two weeks after the patch deployment. This means that for two weeks after the release of the winter expansion, both the old and new navigation structures will be able to co-exist in the same star systems (allowing some temporary doubling up of the functionality). It is worth noting that even during this time old starbase Jump Bridges will not be able to link with a new Upwell Jump Gate. Both sides of a linked jump connection need to use the same type of structure. After two weeks, we plan to automatically offline and unanchor all existing starbase cyno beacons, cyno jammers, and jump bridges during daily downtime. In a future patch we will be implementing a reimbursement program for the old starbase navigation structures and their blueprints so that owners of the old structures can recoup some of their value. More details about that program will come when it is a bit closer. Before we end this dev blog, there are two smaller changes related to the navigation structures that will also be coming with the winter expansion. Alongside the addition of the new navigation structures that take advantage of Infrastructure Hub strategic upgrades, we are adjusting the isk maintenance costs for running strategic upgrades. Some of the technological advances that Upwell made for the Tenebrex Cyno Jammer have also been applied to the Mobile Cynosural Inhibitor personal deployable structure, significantly reducing both its deployment delay and volume. These changes should make the Cyno Inhibitor more effective for springing traps before prey can scramble a cyno in the right fleet, as well as making them more viable to carry while roaming. Thank you all for taking the time to follow along with this dev blog today. 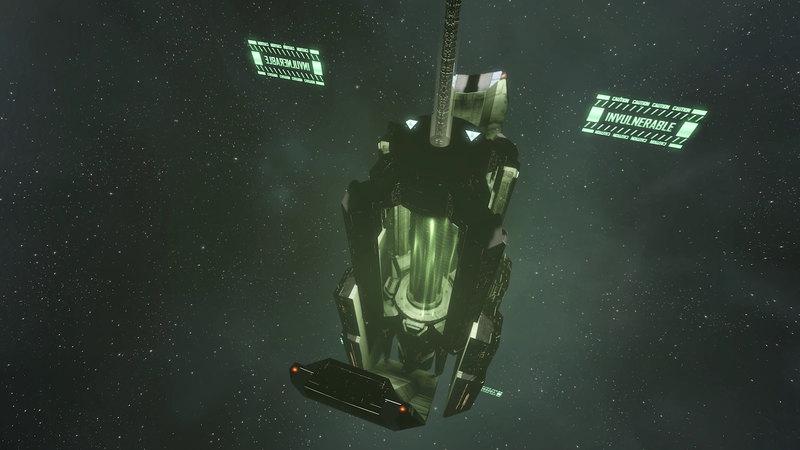 Here at CCP, we hope that you'll enjoy playing with these structures when they release with the winter expansion. Please feel free to give all these structures a try on our Singularity test server and we encourage you to express your opinions and feedback in the comments thread attached to this blog.